In April 1988, the City and County of Denver and Adams County signed an Intergovernmental Agreement (IGA) to annex land for Denver International Airport (DEN). A critical IGA requirement set “Noise Exposure Performance Standards” (NEPS) at 101 points in residential areas west of the airport. 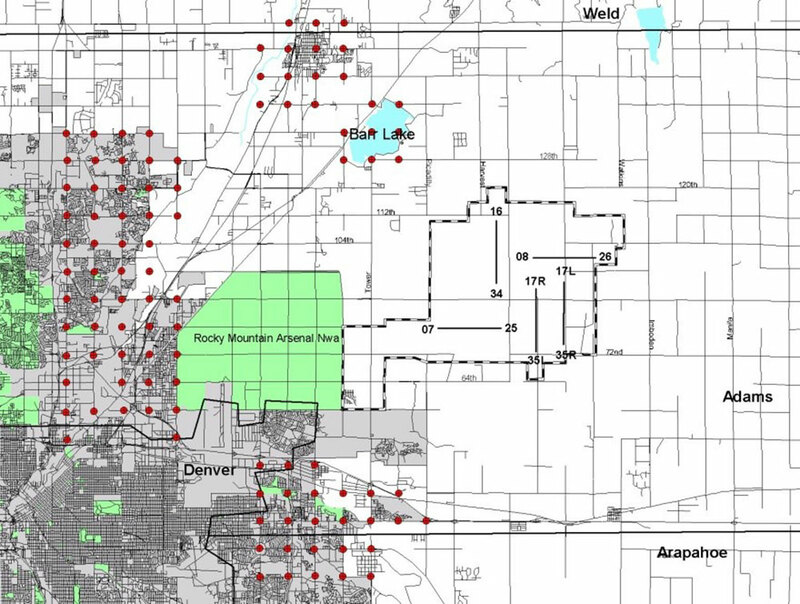 In simple terms, the IGA requires noise from DEN operations to remain below levels formerly associated with Stapleton International Airport; NEPS violations require Denver to make significant payments to Adams County. HMMH designed an innovative noise and operations monitoring system (NOMS) to meet the demanding IGA requirements. The design included many precedent-setting elements, including measurement of aircraft noise levels below what is usually considered ambient, discrimination of aircraft noise associated with individual versus multiple aircraft and with DEN versus non-DEN operations, and automated calculation of Day-Night Average Sound Level (DNL) contours on a daily basis. The design led to major NOMS advances, many of which have become standard elements of NOMS vendors’ offerings. HMMH has continued to assist Denver with their NOMS application to meet IGA requirements, minimize NEPS violations, and conduct noise studies. In 2008, HMMH assisted Denver in the specification and testing of an upgraded NOMS, to retain its state-of-the-art status. In 2013, HMMH assisted Denver to rewrite and renegotiate the monitoring system vendor’s scope for ongoing support, to ensure the airport received all required services in the most cost- and time-effective, and technically appropriate manner.